Current values shown in the bulletins are for 120 volts, 60 hertz. For other voltages the current is inversely proportional: For instance, if a given valve draws 0.5 amperes on 120 volts it would draw 0.25 amperes on 240 volts, or 0.125 amperes on 480 volts. Where power consumption is shown in D.C. watts, the values given should be divided by line voltage to obtain the current in amperes. Power consumption for all valves is shown in the individual bulletins. The coil is a two wire device which may be controlled by either a single or double pole switch. The switch should always be installed in the hot leg of 120 volt circuits. Where both legs are hot, such as 240 or 480 volt circuits, a double pole switch is preferable, however, if a single pole switch is used, then the wiring should have top quality insulation since even minute leakage currents may give rise to sticking problems. On motor hookup with step control starter, full voltage should be supplied to coil immediately. Note: Coil can be readily changed while valve is still under pressure. General Service - Class "B"
High Temperature - Class "H"
Reference should be made to the Bulletins to determine the availability of a required valve for a specific power supply. Consult the factory for information regarding voltage and frequencies not listed. 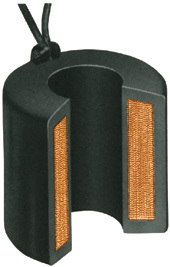 Valves for A.C. service can be converted for use on other A.C. voltages simply by changing the coil. Similarly D.C. valves can be converted for other D.C. voltages. Consult factory regarding conversion from A.C. to D.C. or D.C. to A.C. Continuous Duty Construction: Coils can be energized continuously without overheating or failure. Encapsulated: Coils are encapsulated for temperature of intended service, providing excellent resistance to shock, moisture, oil, and chemicals.